What made you interested in what you do and have you always wanted to do this for a living? I grew up in Florida and always spent most of my time on or around the water. I wanted to become a marine biologist as many children do. I went to college and ended up going into Environmental Science instead of Marine Biology because the labs fit into my schedule better. Since I was working my way through school, eventually a business took off and I had several businesses including a screen printing shop, tattoo parlor, and a motorcycle shop. How does the oil effect animals living in the Gulf of Mexico? 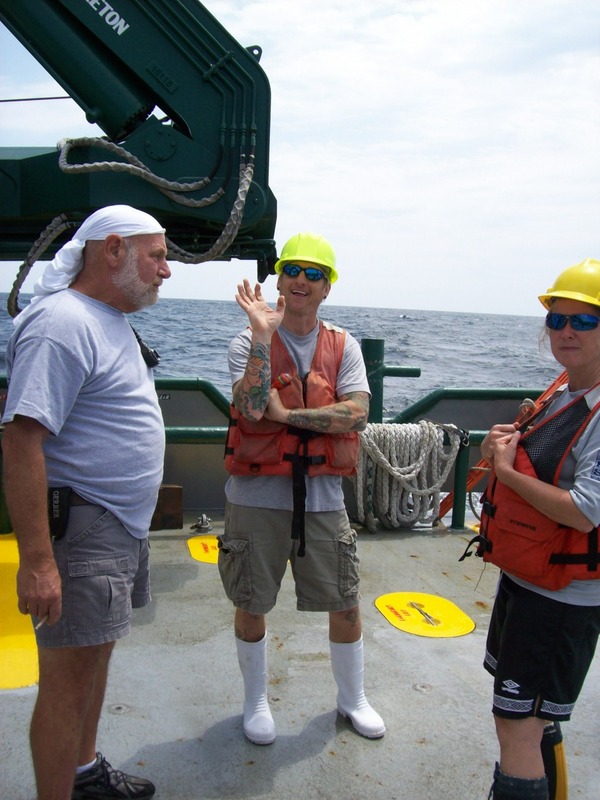 I am collecting marine sediment samples on board. I look at the biogeochemistry of the sediments along a depth and sediment gradient. The Deepwater Horizon blowout may have had immediate detrimental impacts on the ocean life but at this point there is not enough information to predict future consequences. 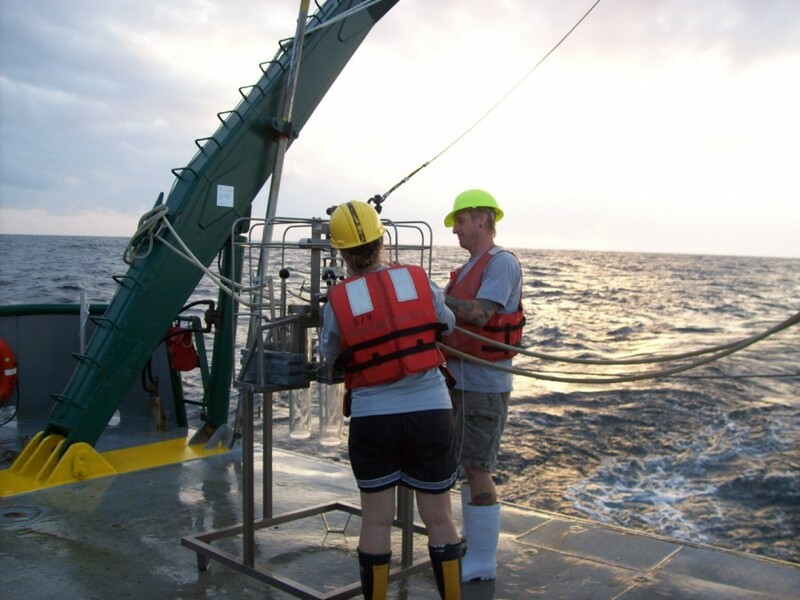 We have evidence of a lot of microbial activity that is degrading the oil in the sediments. Some ecological communities on the sea floor may have been wiped out after the oil event but it was an opportunity for other species that can digest hydrocarbons to thrive. A new food source (oil) means a new part of the food web develops while other parts may disappear. Now a number of scientists are trying to figure out what shifts in communities of organisms there have been since 2010. Print article This entry was posted by greely on May 17, 2013 at 8:39 am, and is filed under Oceanic Updates. Follow any responses to this post through RSS 2.0. You can leave a response or trackback from your own site.